Morning all and welcome to all my new IBO team members. I decided to design this article to give instructions to follow on how I set up my profile page at IBO. I then add my profile link as my blog link at my network of sites. I will then share the article link via emails with all new IBO Signups. I have been a member with IBO since 2011. Best online program for building my network. Great opportunity to write your own articles also. Giving my business that proffessional touch. I encourage all my members to set aside some time to set up their profile page at IBO. It is a great link to use as your blog. Encouraging team communications, with sharing your profile page daily. Lets Start! Log into IBO. Get your team to be active adding their comments to your live Chat profile page. 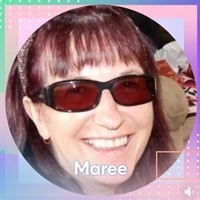 Set up your profile link to connect as your blog at our network of sites. This is the time consuming part. But well worth the effort. STEP 1 (required) - Basic Information Full this in then click save. STEP 2 (required) - Profile Image Add your photo. STEP 3 (required) - Business Information Add the links into the empty boxes. your title: SFI Gold Team Leader. This is where I transferred my store after deciding not to reopen another shop after the Christchurch Earthquakes. I am paid for shopping and selling. I joined them in 2011, then I had to reactivate my account in 2013 after the earthquakes, because I did not have a standing order I lost all my team and benefits. The first thing I did was set up my standing order with SFI. Use my IBO Profile page as an example. Changing my links to yours. Enter your introduction in the box then click SAVE. link name: Enter Name of program link URL (link): Enter entire gateway link. Click save after adding each individual link. Rinse Wash Repeat. social network: Click the drop down box to select the right network. Example. Click save after each individual link.. Rinse Wash Repeat. Feel free to add some of my training videos. Go to my U Tube Channel. When you click an individual video to open. YOU will see the link in your browser window. Select which video you would like to include. Enter. video title: SFI on line team support. video (YouTube URL) (link): Find it in your browser window when viewing the video. more info link: I design my pages at GDI to include here. Click Save after each video entry. These will show up on your profile and get picked up on search engines. Return to the home page at the right click Referral link to find. Then log into the back offices at TMP M Designs DWSEarner and ABC4income. Advertising your new profile page. Watch your down line explode. AS these pages are so proffessional. Giving you that leadership edge.